Huawei launched the Ascend P6 today, the world’s slimmest Android smartphone with some robust mid-to-high end specs. The handset was unveiled at Huawei’s ‘Beauty’ event in London, just days before Samsung debuts a number of new Galaxy and ATIV devices at its dedicated ‘Premiere 2013’ event in the city. The Ascend P6 is just 6.18mm thick and comes with a 1.5GHz quad-core processor in a sleek, metallic body. It offers a 4.7-inch high definition display – no word on the resolution for now – and what the company describes as an “industry-leading” 5-megapixel front-facing camera. It’s joined by an 8-megapixel snapper on the front, capable of shooting at an aperture of just F2.0 and a 4cm macro view. It also supports 1080p video recording and playback, which is the staple for high-end smartphones these days. Huawei revealed today that the device also uses its new IMAGESmart Enginge with Auto Scene Recognition to help casual smartphone users shoot better images on Auto. The device runs on the latest version of Android, version 4.2.2, with Huawei’s custom Emotion UI slapped on top. There are over 1,000 pre-generated themes to choose from now, alongside three designs created specifically for the Ascend P6’s new colors. The handset is also powered by a 2000 mAh battery, which is competitive but not industry-leading by any means. 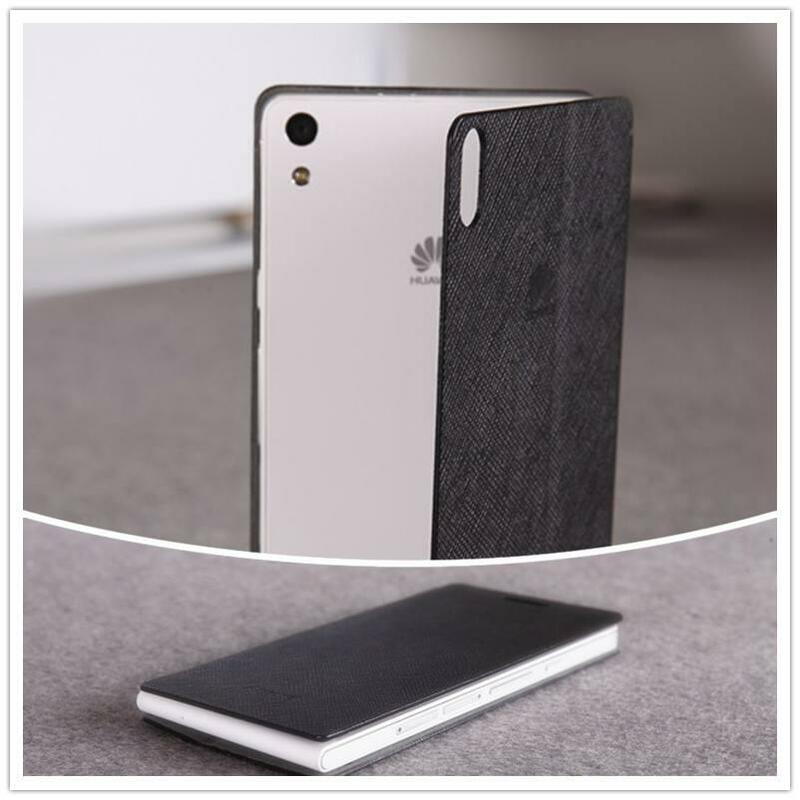 “Building on the success of our Ascend P series of fashion smartphones, the Huawei Ascend P6 provides unsurpassed technology and a design that is simply stunning,” Richard Yu, Chief Executive Officer, Huawei Consumer Business Group said. The device isn’t a huge surprise though. Huawei confirmed its existence in May, using a number of teaser images and a post that revealed very little in terms of detail or specs. The @HuaweiDevice Twitter account then posted a high-resolution image on June 14 teasing the Ascend P6 in its black color variant. Huawei is yet to make any real impact with a high-end Android smartphone, in part because it’s always focused on building devices at the lower-end of the price scale. Samsung currently dominates this space with the Galaxy S3, Note II and newly launched Galaxy S4 – which passed 10 million global sales in its first month – and it will take something rather special to knock it from its lofty perch. HTC, Sony and a number of other competitors have tried to differentiate themselves, but their efforts are yet to resonate at anything like the same scale. Huawei is still a fairly unknown brand in Western markets, but an eye-catching device such as this one – especially if it can boast the title of the world’s thinnest smartphone – would help it stand out from the crowd. 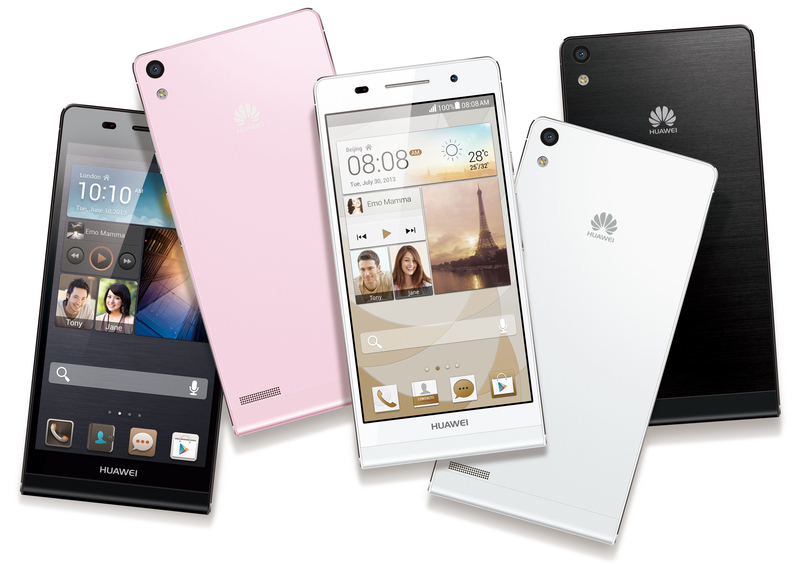 The Ascend P6 has a recommended retail price of €449 and will be available in black, white and pink with matching color cases. It will launch in China later this month before being sold in Western Europe in July through Vodafone, Telefonica, Orange, H3G, O2, Carphone Warehouse, TalkTalk, Media Markt & Saturn, TIM and online with Amazon and CDiscount. A wider international release hasn’t been detailed yet, although Huawei added that “other markets” would soon follow.